London Eye Doctors – Retinal Vein occlusion? 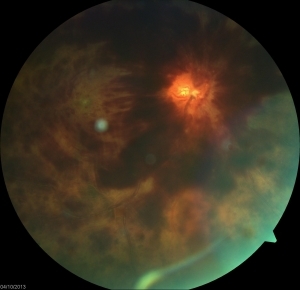 When the blood vessel gets blocked, the back pressure causes widespread bleeding in the area of the retina affected. This causes damage to the retina and vision is affected. Depending upon the part of the retina being affected the vision can get affected to a larger or smaller extent. Private treatment is quicker. You get your treatment at the time and date you want. Your treatment can be scheduled most days of the week. NHS care usually means being at the end of a long waiting list which can be variable. An 18 week wait (on the NHS) is common these days and may become longer in the future. You get consultant delivered consultation, treatment, surgery and post-operative care with the highest possible standards of medical knowledge and care. The NHS provides good quality care but there are many treatments the NHS does not provide on the basis of cost as recommended byNICE.